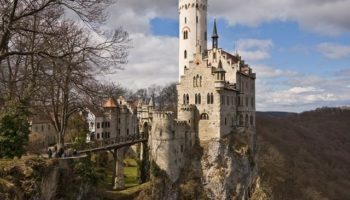 With so many amazing things to see and do in Germany, visitors to this fabulous country have their work cut out trying to fit everything in. 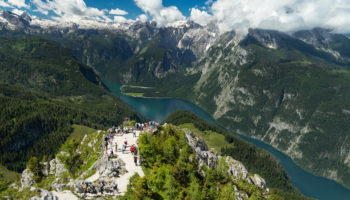 While it is home to beautiful landscapes and scenery, most visitors head towards Germany’s iconic and impressive cities, which are so full of life. Dripping in history, their ancient streets are home to world-class museums, fine dining options, biergartens (beer gardens), spas and more. 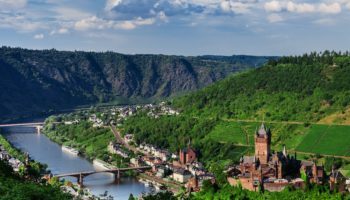 Whether it is beautiful medieval city centers, fairytale castles, impressive cathedrals you are after, or renowned nightlife and trendy hip alternative bars, the best cities in Germany have it all! Rebuilt after the Second World War, Wiesbaden is now full of lovely neoclassical architecture and leafy parks. One of the oldest spa towns in the whole of the country, its fantastic spas and peaceful wellness centers are the main attraction. 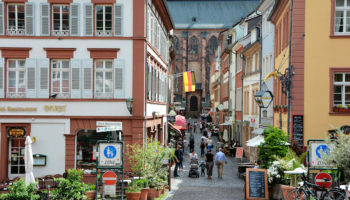 Wiesbaden is the perfect place if you are looking to unwind. Lying on the banks of the Rhine, from here you can easily visit the nearby wine regions that produce such fine wines. Wiesbaden is the main base for the US Army in Europe. Dating all the way back to Roman times, Regensburg’s long history means that it has several fine old buildings to visit that are among the best in Bavaria. Its medieval old town is mesmerizingly beautiful, with a towering cathedral and ancient stone bridge. The plethora of outdoor cafes give it a slightly Italian flair. With three universities located in the city, it is a lively yet laidback place, which is definitely fun to experience. With over a thousand historical buildings dotted around the city, this former member of the powerful Hanseatic League is enchanting. Dating to the 12th Century, its gothic churches and mansions surround the highlight of Lubeck – the lovely Holstentor Gate. Lying on the Trave River, its picturesque setting only adds to its charm. 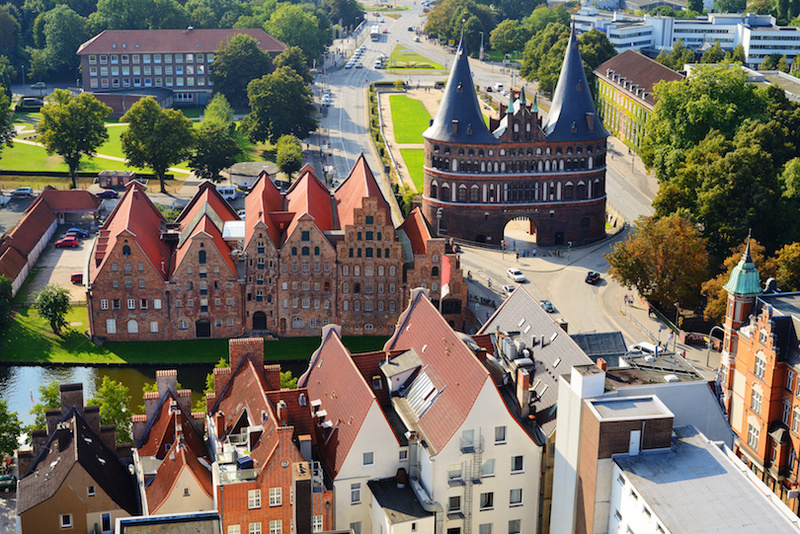 A hidden gem, Lubeck and its old town are well worth an extended visit. Built on coal and steel, Essen has now moved to commerce and culture to attract visitors and locals to the city. While its former heavy industries still dominate Essen’s features, you can now visit many great museums which highlight its rich history. 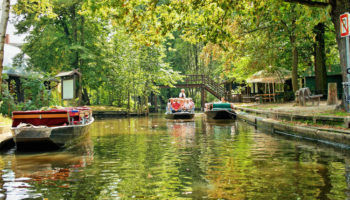 In addition to the cultural attractions, a lovely green belt cuts through the city, and the old medieval part of town is a real adventure to explore. Often overlooked in favor of nearby Hamburg and Bremen, Hannover has a laid-back way of life and will slowly grow on you – even if it is a slightly drab place due to the hasty reconstruction after WWII. With lots of great museums, a lively arts and culture scene and a massive exhibition center, there are more than enough reasons to spend some time here. Green spaces dot the city, with the fantastic Herrenhauser Garten being particularly lovely. The largest urban forest in the whole of Europe lies on its outskirts. In summer, its huge computer and technology fairs attract throngs of people to the city. The largest city in Germany’s federal state of Saxony, Leipzig is known for its vibrant arts and culture scene shaped by famous music composers like Bach, Richard Wagner and Felix Mendelssohn. Tourists today can enjoy performances of Bach’s music at the St. Thomas Church where Bach once served as choir leader and is now buried. In addition to historic sites like the Old Town Hall, the city boasts several impressive structures such as the Napoleonic Monument to the Battle of the Nations and Reichsgericht, the former high court of the Reich. 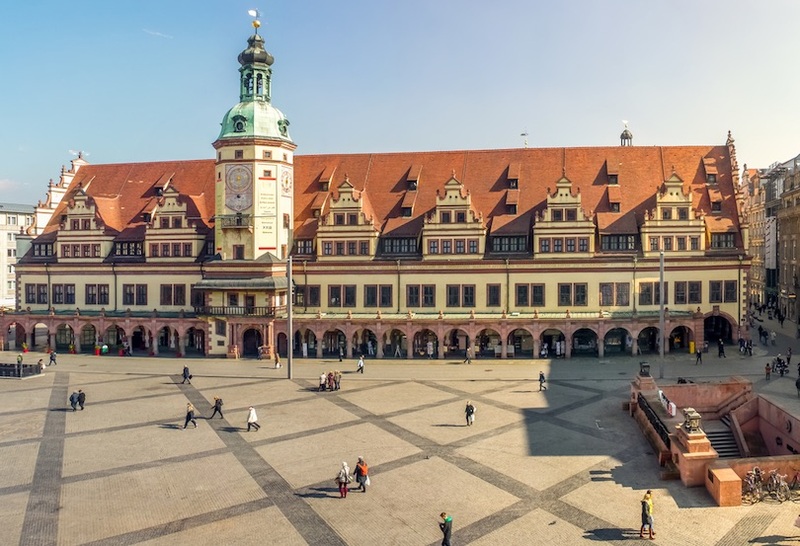 One of Europe’s largest town squares, the Augustusplatz, is situated at the central campus Germany’s second-oldest university. Home to Germany’s thriving automobile industry, Stuttgarters are often half-jokingly called ‘stuck up’ by other Germans. While there is certainly a posh and affluent feel to the city, it is actually a welcoming and friendly place. Despite its large size, Stuttgart has a laidback atmosphere, and residents happily spend their time in its fantastic biergartens or hiking in the nearby hills surrounding the city. With an eclectic mix of architectural styles on show, marvelous museums, and lots of fine dining options, Stuttgart will not disappoint. 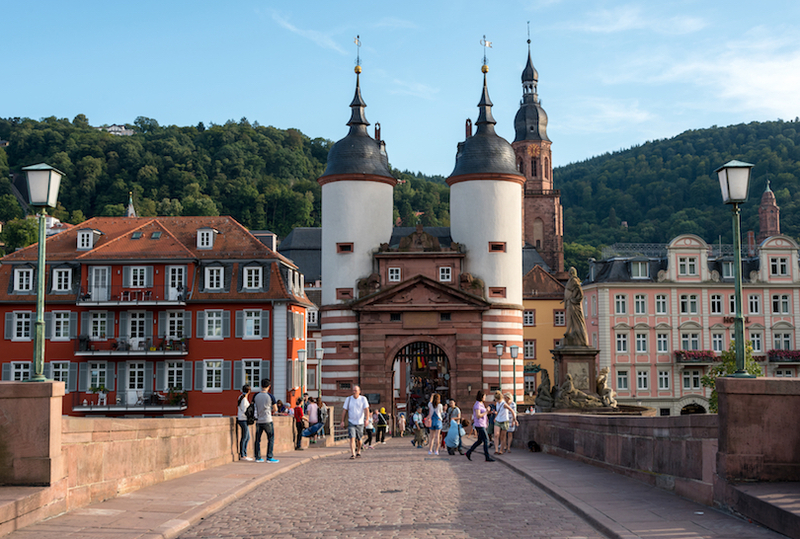 Lying on the banks of the River Neckar, Heidelberg is set amidst a stunning landscape and is home to the oldest university in the country. With beautiful forest surrounding it, the city is particularly known for its incredible red brick castle, which looks out over the houses and river below. The picturesque Altstadt is magical, thanks in large part to the uniform architectural style that survived WWII. A laidback place, the sizeable university population adds a multicultural and youthful feel to its streets. One of the wealthiest cities in Germany, there is a posh feel to this modern city, as demonstrated by the banking and fashion industries that call it home. While there is definitely a modern side to Dusseldorf – where innovative and creative architectural styles can be found – the Altstadt highlights more tradition styles in its lovely buildings, which were painstakingly restored after being destroyed in WWII. Its renovated harbor area is fantastic to witness at night, as lights glimmer alluringly off the Rhine, shimmering off avant-garde and daring buildings. 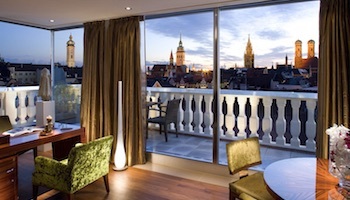 With a pulsating nightlife and a lively arts and culture scene, Dusseldorf is an exciting city. A welcoming and friendly place, Bremen is a great city to visit or live in. Combining modern industries and technology with enchanting old streets and a bewitching Expressionist quarter, Bremen is an intriguing city with a laidback vibe which belies its large size. As well as its beautiful old center and fantastic museums, trendy neighborhoods hide great restaurants, teeming bars and upbeat nightlife options. Famous for the Nuremberg Trials which took place here after the Second World War, history drips from every surface. 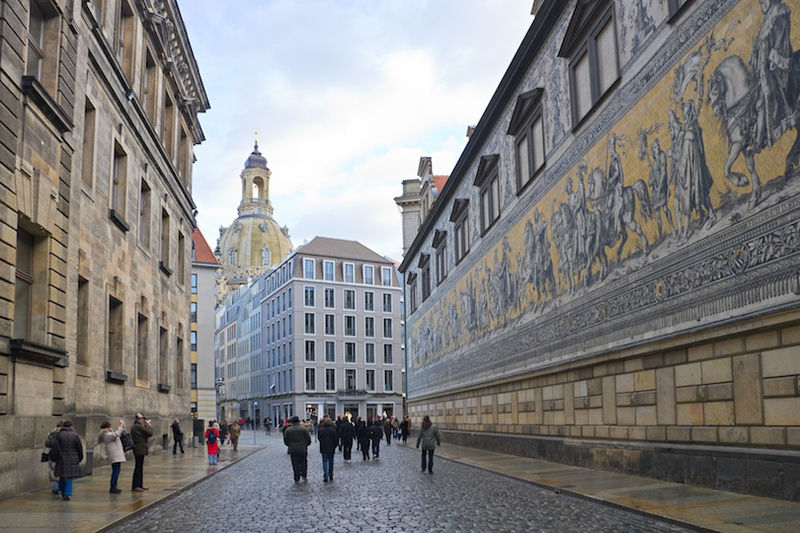 Although it was heavily bombed during WWII, much of the city’s architectural wonders have been restored. Having once acted unofficially as the capital of the Holy Roman Empire, untold riches were drawn to the city, with German kings only adding to its grandeur later on. This is evidenced by the delightful castle and churches which can be found in the old town. 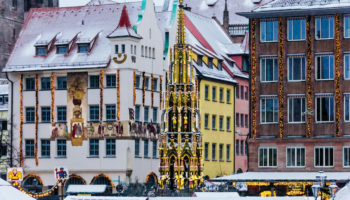 While Nuremberg is worth visiting at any time of year due to its sumptuous beers and bustling nightlife, Christmas is particularly magical, thanks to its sprawling, twinkling Christmas market. 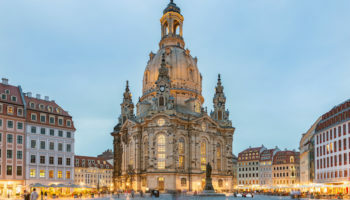 It is almost impossible to imagine that Dresden was almost completely destroyed during the Second World War; the city’s beautiful churches, palaces and museums are so striking to behold. Located on the banks of the Elbe, Dresden has a bewitching catalogue of art and architectural styles for you to explore through its fantastic museums and rebuilt streets. 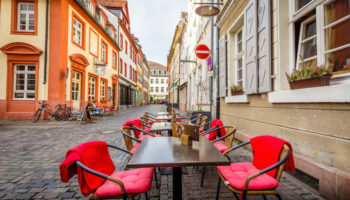 In contrast to its old treasures, the Neustadt has lots of trendy restaurants and bars for visitors to let their hair down in, with many people heading here to enjoy an energetic nightlife scene. The second largest city in Germany, Hamburg has a bustling port that has welcomed people to its shores to trade and make merry since the Middle Ages. This maritime identity is everywhere you look in the city, as the port and the Elbe River still play a prominent role in its citizens’ lives. Old and new architectural styles mix together wherever you look; the amazingly modern Elbphilarmonie concert hall is comfortably located next to old brick warehouses. Indeed, music plays an important role in the city’s history, and it is here that the Beatles got their big break. The nightlife on offer is out of this world and the famous Reeperbahn is where you want to head. Here, you’ll find a seedy red-light district, as well as music clubs, trendy cocktail bars, pulsating discos and more. With glittering glass winking at you from its towering skyscrapers, Frankfurt is the business and finance center of Germany and much of Europe. With over 5.5-million people living in the city and its outlying edges, it is a dynamic and lively place with much to offer. While the modern hub of the city is full of skyscrapers and businessmen, the medieval old town is a charming contrast, as quaint cafes and traditional taverns serve up delicious food and refreshing beers. Located on the Main River, there are some lovely walks to be had along its banks, while airy parks and peaceful neighborhoods only add to the city’s charm. 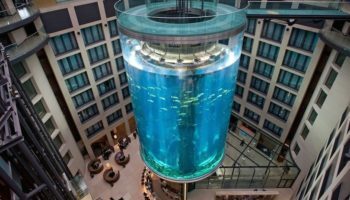 With a fantastic range of museums to visit and pumping nightlife to enjoy, Frankfurt is a great city to discover. 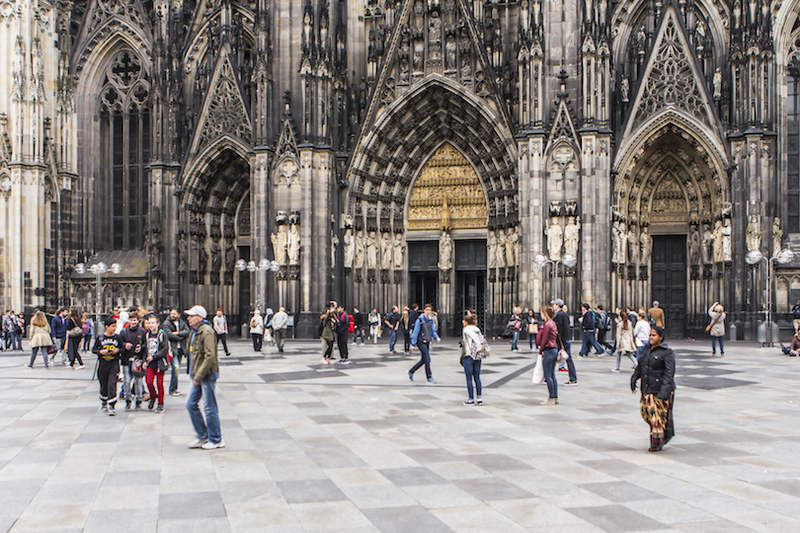 With the impressive cathedral’s twin spires towering above the city, reaching towards the heavens, Cologne is one of the most popular cities to visit in the whole of Germany. History abounds in its ancient streets. As you stroll around, you’ll find medieval churches interspersed amongst trendy neighborhoods and the picturesque old town. With lots of good museums on offer, as well as fantastic local chocolates, beers and perfumes, Cologne has something for everyone to enjoy. If you’re feeling particularly amorous, you can always leave a locket declaring your undying love at the Hohenzollernbrucke bridge. 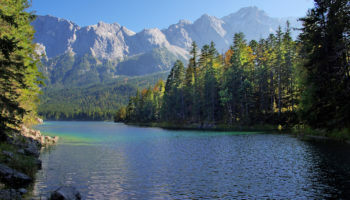 The heart of Bavaria, Munich is a fantastically wealthy city that perfectly highlights its rich cultural heritage while remaining contemporary at the same time. 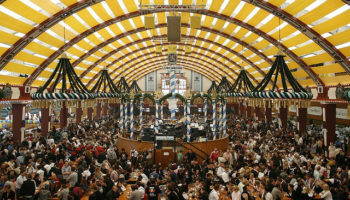 While visitors descend upon Munich at any time of year, the zenith is obviously during Oktoberfest, when the streets are flowing with beer, and lederhosen-clad people make merry. Renowned for its art scene, the city has world-class museums as well as numerous royal palaces to gaze upon – not to mention a thriving gastronomic scene to dig into. 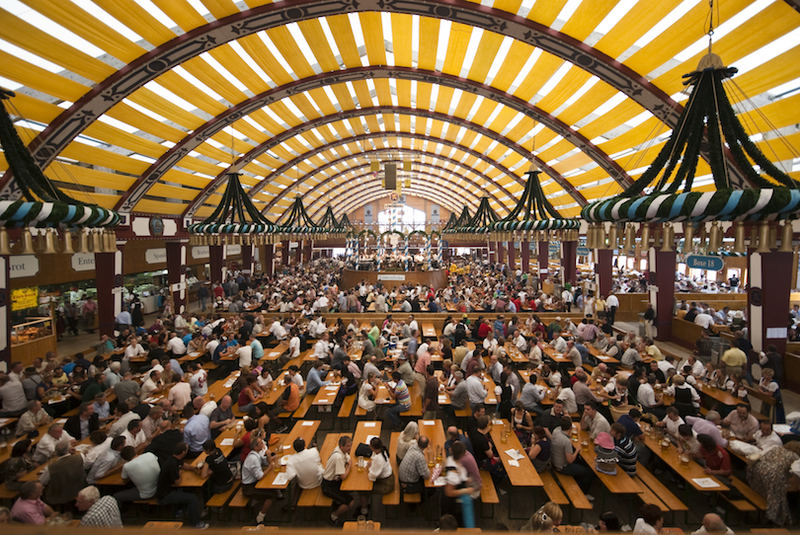 With a laidback way of life, the Bavarians are welcoming and perfectly happy to show off their local traditions and customs. 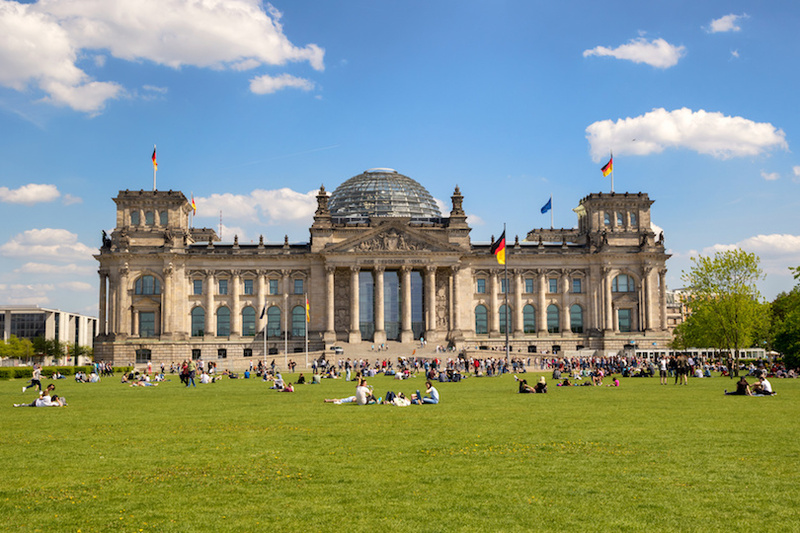 Germany’s sprawling capital really does have everything you could want from a city. Large green spaces are spread throughout its graffiti-strewn, concrete buildings, while trendy and unique bars, restaurants, cafes and nightclubs are hidden amongst the grime of this thriving city that is renowned for its nightlife. With a vibrant cultural and arts scene, museum island is particularly captivating to visit – although that is probably too mainstream for many visitors to the city. Famed for its alternative scene and acceptance that anything goes, simply being in Berlin and experiencing the atmosphere is intoxicating in itself. Steeped in history, walking along the Berlin Wall and visiting the haunting Holocaust memorial are just two must-do activities in this multicultural and modern city.